TORONTO -- A Canadian man detained without charge in the United Arab Emirates for more than a year is expected to finally learn what he's accused of at a trial set to begin on Monday. 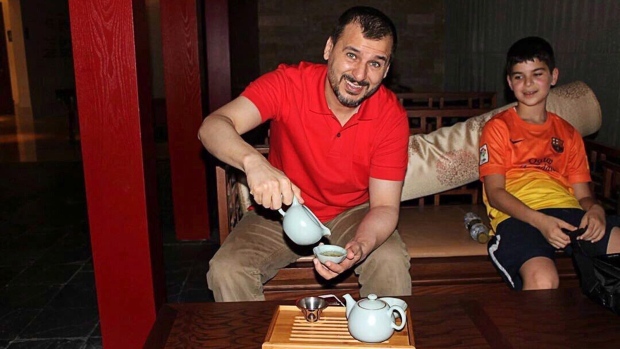 Salim Alaradi, a 46-year-old Canadian of Libyan origin, was running a business in Dubai when he was abruptly arrested in August 2014. His family and lawyers have received no explanation from U.A.E. authorities for his continued detention and there have been allegations he has been tortured behind bars. Alaradi's trial will be held at the State Security Chamber of the U.A.E. Federal Supreme Court, a venue his Canadian lawyer said suggests he will be charged with terrorism-related offences. "One way or another it appears that the U.A.E. wants to bring this file to a close," Paul Champ told The Canadian Press. "We were hopeful that the Emiratis were simply going to release Salim but unfortunately they've decided to lay charges." There are concerns Alaradi may not get a fair trial since he will have no right of appeal and alleged forced confessions may be made admissible, Champ said. Nonetheless, the legal process is being seen as a significant development in Alaradi's case which had appeared stalled until now. "He is happy to learn that there are charges because at least it signals that the end of this ordeal may be near," Champ said. "We think that after holding him for so long maybe the U.A.E. authorities felt that they were obliged to charge him with something, but we're hopeful that he will be acquitted of any charges." Alaradi was born in Libya and immigrated to Canada from the U.A.E. in 1998, settling down in Vancouver with his family. He decided to return to the U.A.E. in 2007 to run a home appliance business with his brother. For two months his family didn't know if he was dead or alive. They then found out he was being held at an Abu Dhabi prison, though they have never been told why. Their communication with Alaradi has been limited but in one prison visit early on in his detention, Alaradi's wife noticed a burn mark on his hand, prompting fears he had been mistreated. Amnesty International has noted that Alaradi was among 10 men of Libyan origin detained in the U.A.E. at the same time. Champ said Alaradi's Libyan roots may have something to do with his detention but noted that the Canadian man was not involved in Libyan affairs. "We haven't learned of anything that could be remotely held against him," said Champ. "Mr. Alaradi is not political in any way, he's not involved in any groups or associations, he has not spoken out against the government." Global Affairs Canada said Canadian officials "at very high levels" have raised concerns about Alaradi with U.A.E. authorities. "The Government of Canada is seized with the seriousness of Mr. Alaradi's case and is engaged in efforts to ensure a prompt and just resolution," said spokeswoman Diana Khaddaj. "Canada takes allegations of mistreatment and torture extremely seriously." Canadian officials have asked to be allowed to attend Alaradi's trial, Khaddaj added. The Canadian response to Alaradi's case appears to have improved since the fall of 2015, said Champ. "Canadian consular officials have assured me that Mr. Alaradi is one of their most important consular files in the world," he said. "They have been visiting or trying to visit him every single week since late September. That is a change." Alaradi's family, meanwhile, has mixed feelings about the start of his trial. "I'm afraid that they'll charge him with things my father has never done," Alaradi's daughter Marwa said in an interview. "But I believe that my father's going to speak out ... so I hope it goes well."